When the eyes of the children have small or complicated problems the most reliable approach is required. Therefore, the Attiko Ophthalmological center created the children department. The Ophthalmic surgeon in collaboration with the Orthoptist provides the best service for the eye health of the children. The examinations are done with the newest instruments (e.g. PlusOptix) which are specially designed for children examinations. The initial eye examination should be performed during the first days after birth. There is even a program of the World Health Organization, which aim to achieve until 202, the carrying out of a routine eye examination to all newborns. The examination in infants is usually done by indirect ophthalmoscopy, in which the newborn for eye diseases such as congenital cataract, congenital glaucoma, etc. are being screened. The second examination should be done in the first year of age, in which the child’s refraction (myopia, hyperopia, and astigmatism) is checked, while an attempt is made to determine whether the strabismus exists. If the child has no other obvious disorders (e.g. 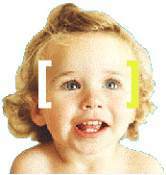 strabismus), the next examination should be taken in the age of four. before the school begin. At this age we determine the visual acuity and the color perception. Are there different ophthalmologic disorders in boys and girls of the same age? The answer is probably positive, because the boys seem to have vision problems commonly associated with the ability of color perception. The girls in turn present no particular ophthalmologic abnormalities compared to the boys. Which years are the most important for the sight of the children? Children learn to see in the first 6 years of their life. The sense of sight seems to develop in these years. Failure to learn the sight until this age has a high risk of causing amblyopia (permanent low vision). Apart from congenital eye disorders (e.g. congenital cataract), strabismus is a disorder that can occur after birth, but has a clinical value after the first 6 months of life because by the end of the first six months the mobility of the eye has been fully developed. What may affect the condition of children’s eyes? Generally, there are factors that affect the state of children’s eyes. It is advisable to keep a proper and safe distance from the screen of both TV and the computer, which should not be less than 5 m / distance may for the TV. Also, it is advisable to avoid the study and general reading in poor lighting conditions. When is it necessary for a child to wear glasses? In cases of high refractive errors (myopia, hypermetropia, astigmatism), children need to wear glasses. In mild forms of refractive errors, the use of glasses depends on the visual acuity and the symptoms presented (e.g. headaches-lack of concentration at school). On what should parents care when buying glasses for their children? Which frames should they choose? It is recommended to select glasses with light frames and unbreakable glass (plastic) to avoid injuries. A proper refractive measure with skiaskopie before the prescription is obligative. How often should the glasses be changed? Three months after the first glasses prescription it should be done the next examination with check of the visual acuity. If the refraction is stable and the visual acuity is good the next examination schould take place every 6 months to control the refraction and visual acuity. Any observed change in the refraction, usually involves a change of the glasses. How often should the eye examination take place? Apart from the examinations we have already mentioned before (just after birth, during the first year and then in the 4th year), if there occurs no problem and the child does not complain, the examination should be carried out every year. What is the most appropriate for children? The eyeglasses or the contact lenses? The use of spectacles or contact lenses depends mainly on the condition and age of the child. Astigmatism for example is better corrected with contact lenses. Other disorders (e.g. myopia, hypermetropia), are corrected almost the same effective with contact lenses or eyeglasses. Due to the risk of infection, however, it is recommended the use of contact lenses after the age of 16. The most secure are the plastic lenses and that protects the child from a potential risk of injury. In what ways can alleviate children’s eye diseases? How can parents contribute? Parents can contribute greatly to protect the sight of their children through keeping the required eye examinations at the ages that have been mentioned. Studies that have been made in Greece have shown that 20% of children when they start school have eye diseases that were not diagnosed until this moment. Often too late to treat, so children have a high risk of low vision throughout their lives.